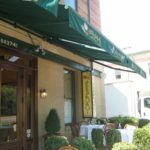 Those were the notes I jotted down while tasting the eggplant lasagna, a special addition to the menu that day, at Assaggi Osteria at 6641 Old Dominion Drive in McLean, Virginia. Domenico Cornacchia’s lasagna is not to be missed. If it’s not on the menu, ask for it. Better yet, call ahead and ask if it’s available. Really, it’s *that* good. 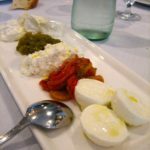 At the press luncheon hosted by the restaurant, I tried a few other memorable dishes. 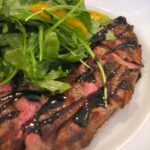 The balsamic steak was succulent, the house made buffalo mozzarella melted in my mouth, and the baby octopus salad was extremely tender. Octopus isn’t easy to cook, and I was impressed that there wasn’t even the slightest hint of rubbery texture to it. Molto bene. 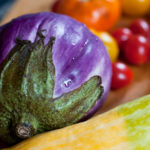 Following lunch, I was inspired to try a similar dish at home with eggplant and squash I received in a neighbor’s CSA (community assisted agriculture) share while she was on vacation. Heat oven to 375 degrees. Heat large skillet on medium. Add oil to coat hot pan and toss in onion. Cook until translucent and lightly browned and then cook garlic until fragrant, about 30 seconds. Add diced tomatoes and roughly chopped basil leaves. Salt and pepper to taste. Let simmer for about 20 minutes. 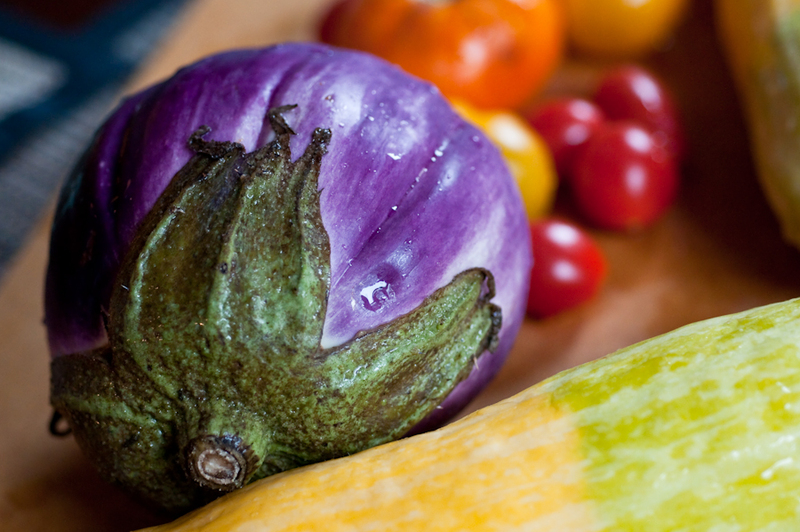 Slice eggplant and squash into ¼” slices. In a mixing bowl, combine ricotta, parmesan and egg. In an 8×8” baking pan, put down a layer of tomato sauce, then a layer of eggplant and/or squash, then a layer of cheese mix. Layer like so ending with a sauce layer. Top with mozzarella cheese. Bake covered for 30 minutes. Remove cover and bake another 15 minutes. And then mangia! 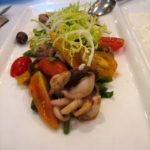 Disclosure: I was treated to lunch at Assaggi Osteria, but that did not impact my positive review. I mean, c’mon, I liked the food enough to try and re-create it at home! What’s your favorite lasagna recipe? And – Stacey’s husband wants to know – is it really lasagna if it doesn’t contain meat? 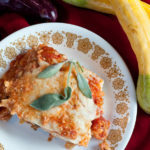 I think I will be making this soon… Can you believe I’ve never put eggplant or squash in a lasagna? Why oh why have I limited myself to peppers, onions, and mushrooms?